The Tap Pack Is Coming To The Peacock! Ed Sheeran meets Frank Sinatra? This is going to be lot of fun.. 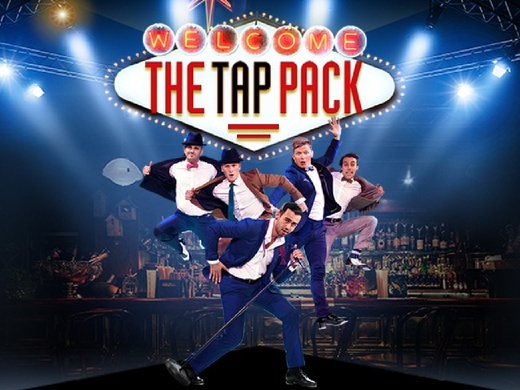 Inspired by the kings of swing: Frank Sinatra, Dean Martin and Sammy Davis Jnr, The Tap Pack brings a new, exhilarating energy to a timeless style at Sadler’s Wells’ West End venue The Peacock, from 1 - 19 May 2018. With slick suits, sharp wit and songs from Sinatra to Ed Sheeran, The Tap Pack presents a cocktail of pure entertainment, serving up classics with a twist, with a live four-piece band. Created by Jesse Rasmussen, Jordan Pollard and Thomas J. Egan and co-created and directed by Nigel Turner-Carroll, the high energy tap comedy show has previously been seen in London at the Underbelly on the South Bank, and has toured to Beijing and Berlin. The show won The Spirit of the Fringe award at the Edinburgh Fringe Festival in 2016. The Tap Pack performers are Jesse Rasmussen, Thomas J. Egan, Sean Mulligan, Max Patterson and Ben Brown.